You are browsing the Blog for Girls Spring - Scoop: The Appaman Blog. May is always the time of year we think about mom! With Mother’s Day kicking off the month, there’s no better time to pay tribute to the women who play a million different roles on a daily basis – doctor, chef, fortune teller, taxi driver and hairstylist. Moms can do it all and still look stylish, thanks to the new spring trends that combine comfy with cool. 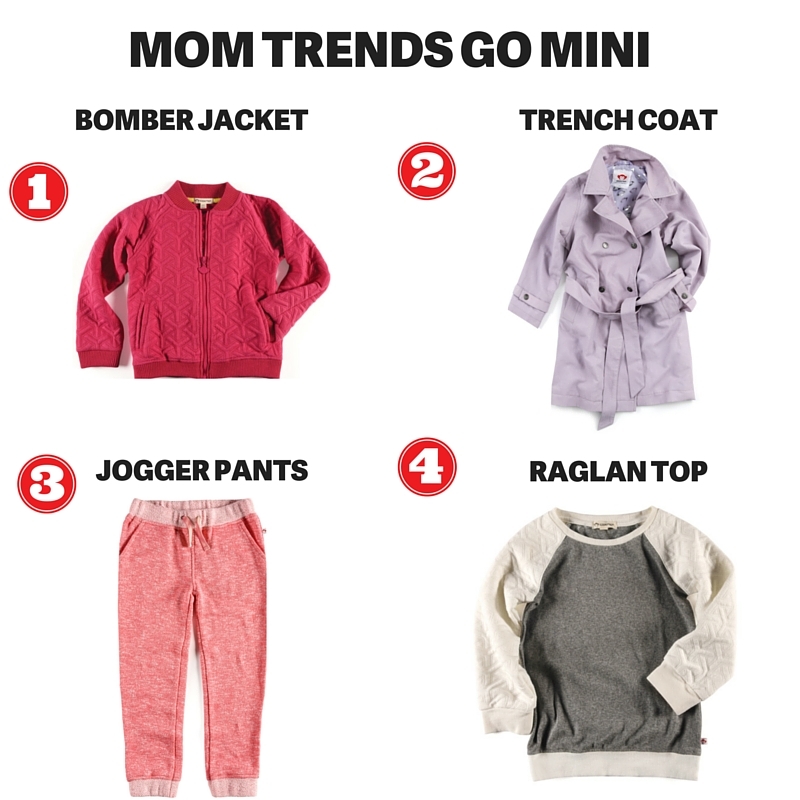 For spring and summer, moms will be living in bomber jackets, trench coats, jogger pants and raglan tops. And not to be outdone by their moms, little ladies are loving these trends, too, but in pint-sized versions with playful fabrics and cool colors. Our spring girls style at Appaman hits on all of the fashion notes that moms want in their closets: crisp, classic, cool and touch of athleisure. The Nyla Bomber Jacket, a deep pink shade of luxurious double knit, is the perfect lightweight layer to see her through spring, summer and fall. The geometric cross-stitching and sporty raglan sleeves lend an element of grown-up yet playful style. The Stanton Jogger pants in a chic Salmon Rose shade will be the pants she wants to wear every single day. These fashion-forward sweats are made with a luxe textured terry and have flattering slim fit. They literally look good with everything. For a modern twist on a classic crewneck sweatshirt, our Trophy Raglan Top is her go-to shirt. The textured sleeves and super-soft terry fabric give this sporty top a whole lot of style. Stylish moms will wish they could fit into our Trench Coat in a cool shade of Iris. This time-tested style staple comes in a water-resistant fabric and has our signature monkey logo lining for a pop of fun. Shop all of the mom-loved girls spring fashion from Appaman here and celebrate your mamas all month long! We know we’re still technically in the middle of winter, but we’re so excited about our new kids fashion collection for spring, that we had to share a preview! 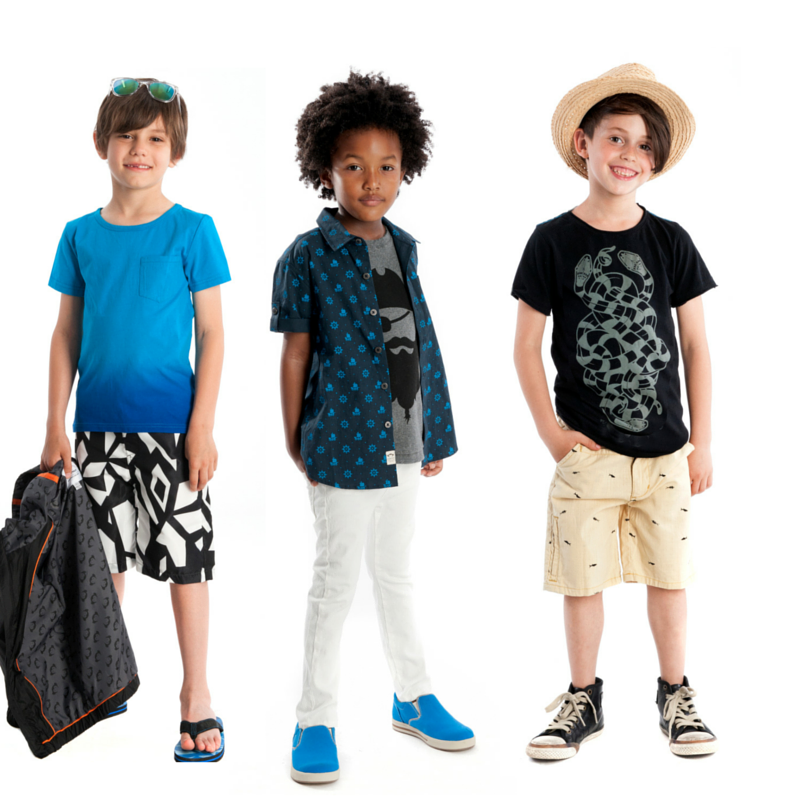 From deep sea exploration to artful fantasies and preppy rebels, our spring kids clothing has something for every style. Our design team created a collection we can’t wait to see on all of our Appaman fans. Here’s your first look at Appaman Spring 2016. For spring, we loved the idea of sending our boys into the deep sea. From octopus and other sea creature printed t-shirts and chambray short sleeve button down shirts (great for layering!) with angler fish and sea captain prints, the nautical theme got a street style twist for the new season. We also threw some fun pirate-inspired style into the mix in the form of graphic tees emblazoned with Blackbeard the pirate and a very tough looking pirate bulldog. Aaaar matey! Also on tap for boys, very cool dip-dye t-shirts to reflect the stylish ombre trend, rebel Polo shirts and our best-selling skinny twill pants in an array of spring-y shades. Nothing says spring like pretty shades of pink, fun punchy prints and cool hints of metallic. Our new girls fashion collection for spring 2016 has a little bit of all three of those. Our designers put a youthful spin on Miro’s surrealistic prints with fruit-printed rompers, dresses and skirts. For early spring, girls will love the soft wearable double knit collection of pink bomber jackets, shorts and shift dresses. For the athleisure-minded little ladies, the new Salmon Rose colored jogger pants are a sporty chic go-to pant she’ll wear with literally everything. We happen to love it paired with the Unicorn Circle Tee in Heather Grey (warning: we predict this tee is going to fly off the shelves, so snap it up while you can). You can count on our Fine Tailoring collection this season to deliver classic style done the Appaman way. For all your spring and summer formal events, we’ve got you covered. From mod suits for boys–with trousers or shorts–to pretty dresses for girls in a palette of muted purple and grey, our spring Fine Tailoring collection hits on all of the right notes. The Appaman Spring 2016 kids fashion collection is launching online and in stores this February. Since Punxsutawney Phil failed to see his shadow this year, we are in for an early spring! It’s not too soon to get excited about stowing away those winter layers and investing in some key spring pieces.